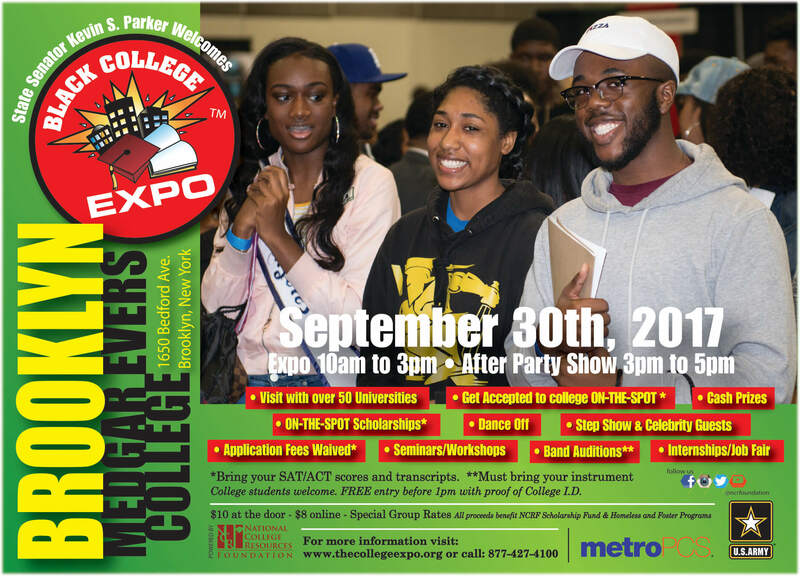 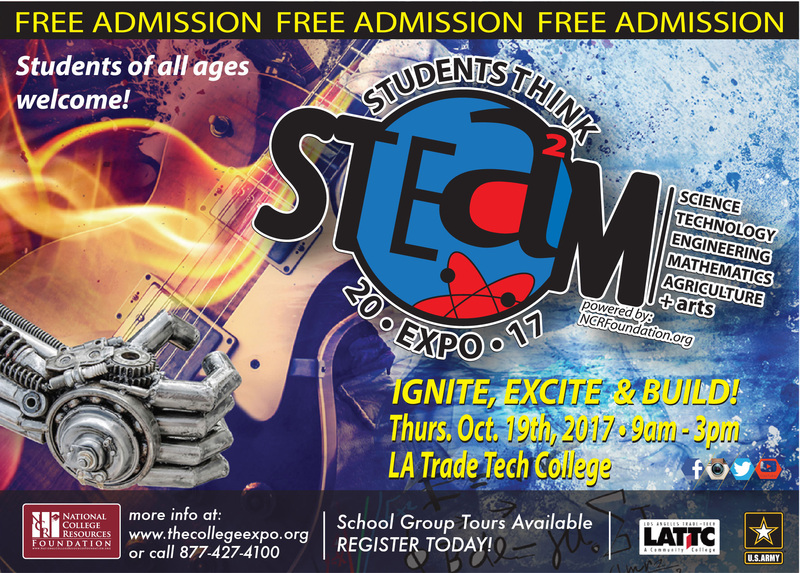 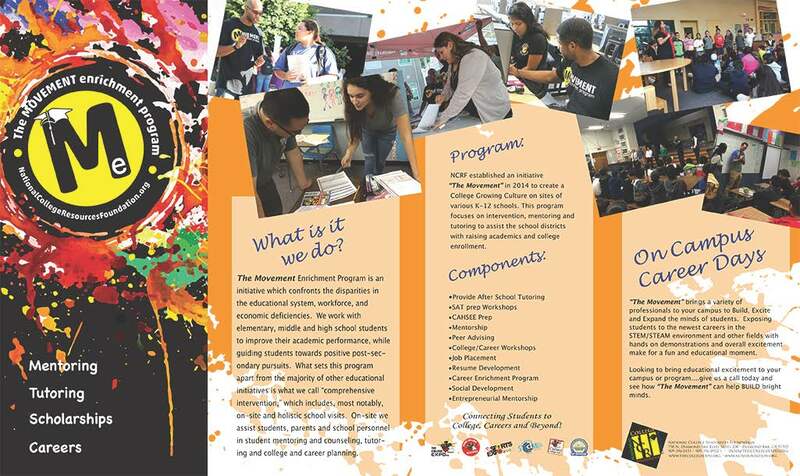 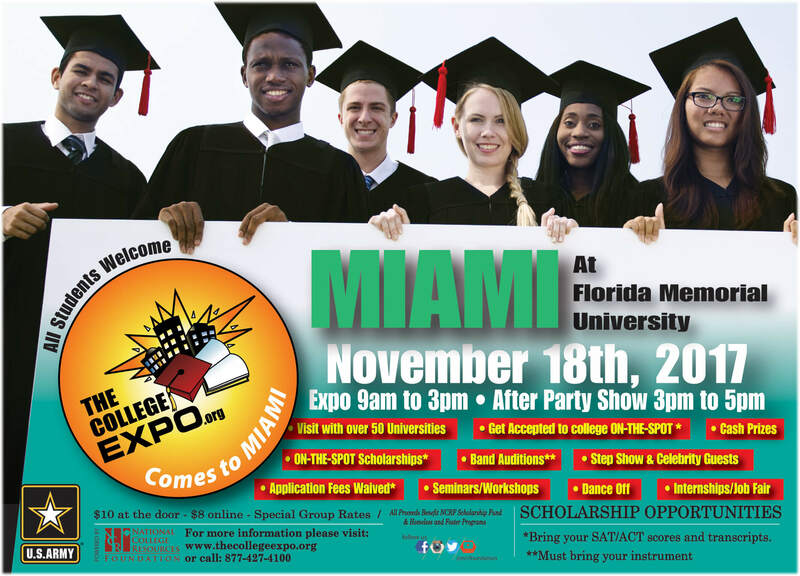 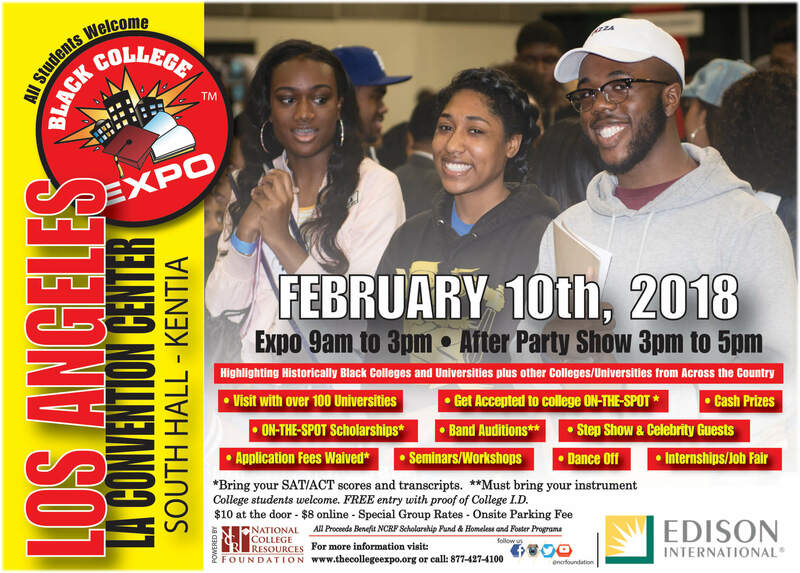 College Expo: 9:00 a.m. - 3:00 p.m. 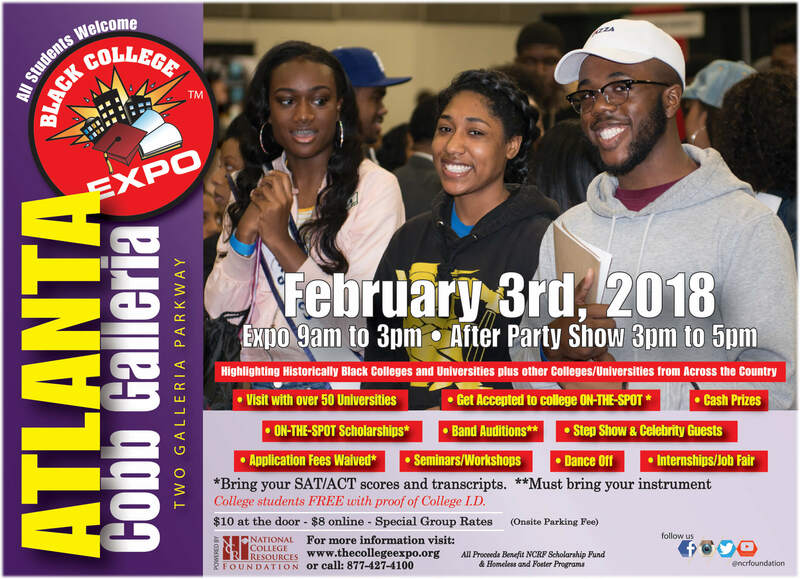 Scholarship Presentation & After Show with Step Show: 3:00 p.m. - 5:00 p.m. 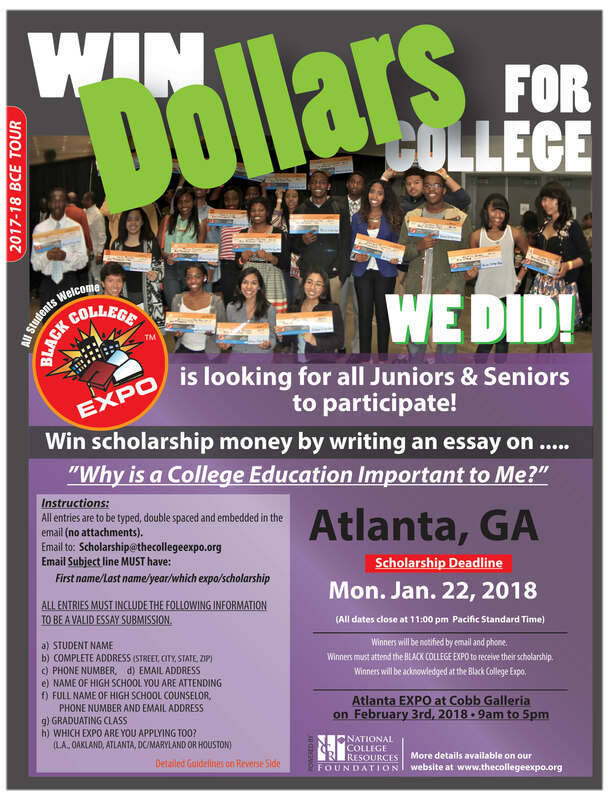 Scholarship Contest For 11th & 12th Grade Students*Please Consider Group Registration! 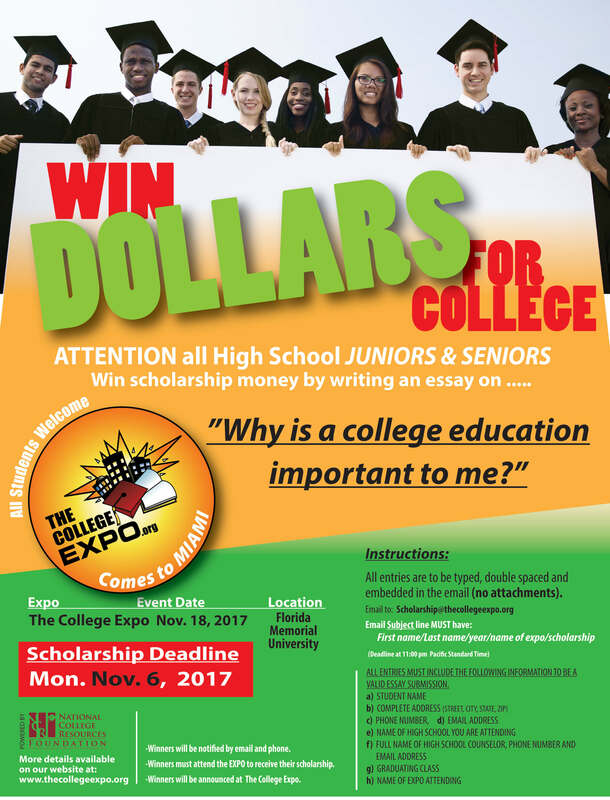 NCR Foundation is a 501c3 organization with the mission to curtail the high school dropout rate and at the same time increase enrollment to degree and/or certificate programs among underserved and underrepresented students. 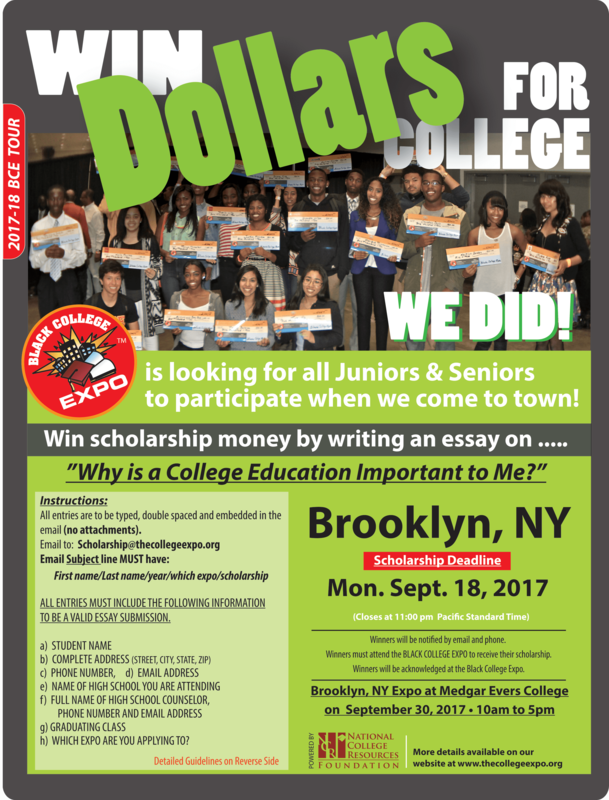 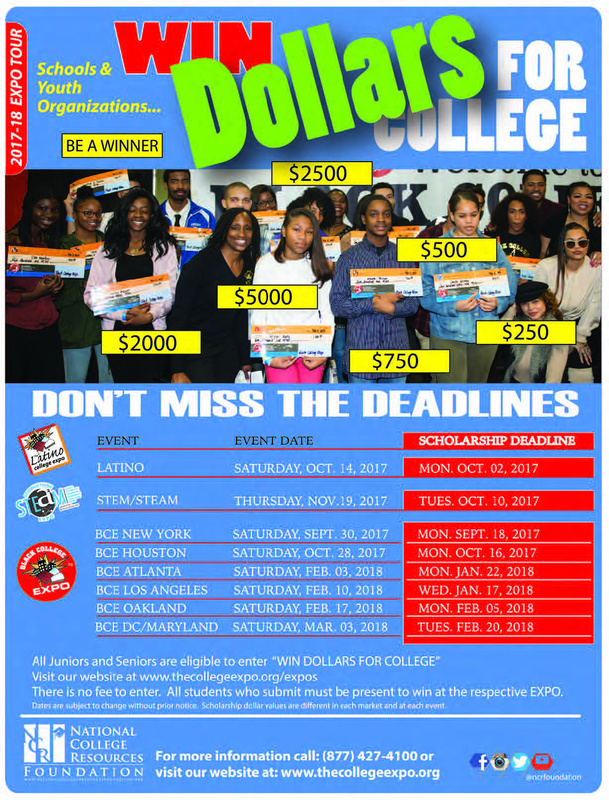 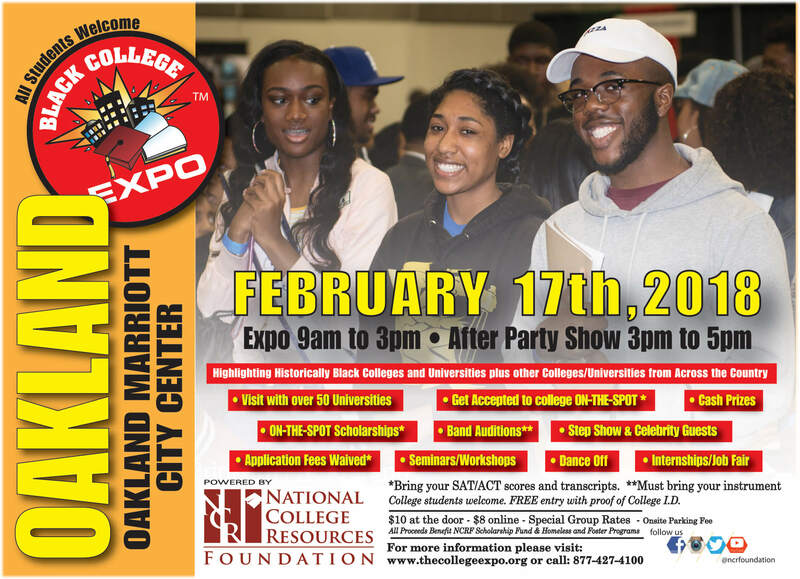 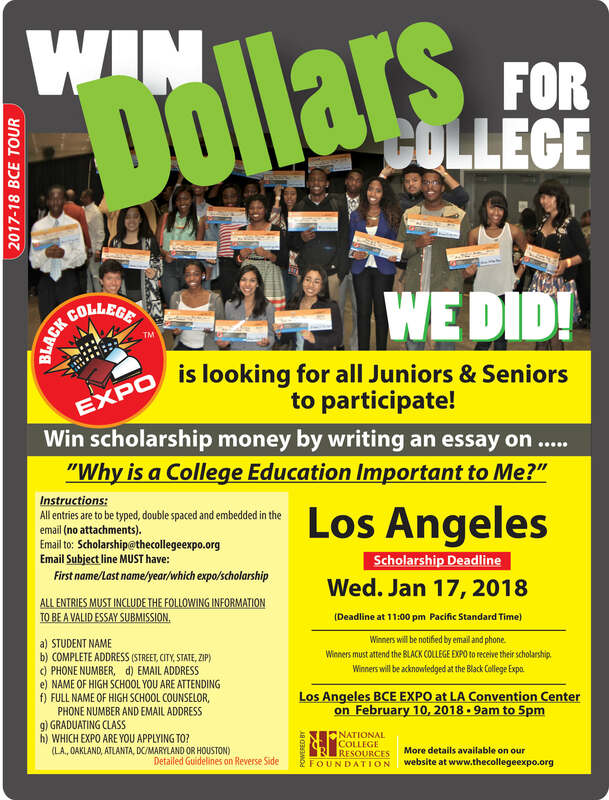 NCR Foundation and its programs Black College Expo, Latino College Expo & The College Expo has helped over 400,000 students get into college, has given away over $600,000 in scholarships, and help secure over 300 million in scholarships and grants. 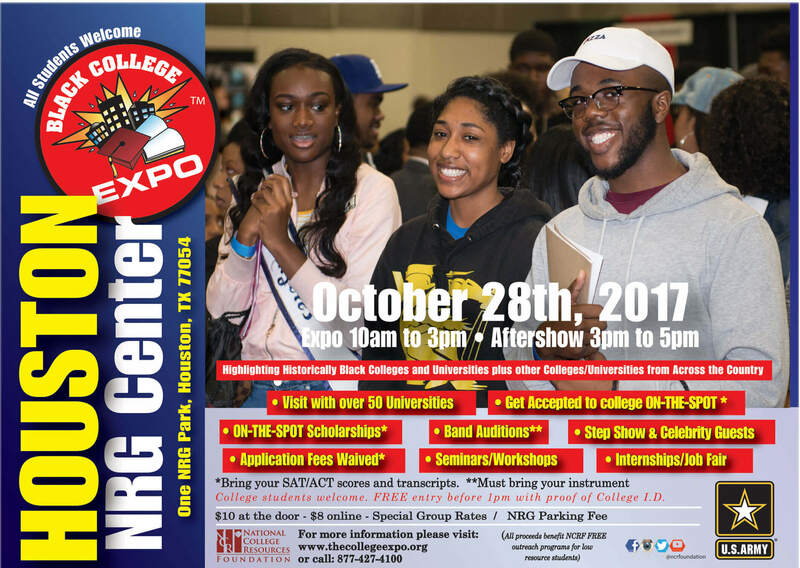 NCR Foundation offers FREE services daily to students and their families, which includes intervention, mentoring, college and career planning, tutoring,student athlete assistance, and internship & careers placement.